Fireplace mantels can be made to custom dimensions from a variety of stones including but not limited to marble, limestone, travertine, and sandstone. Most fireplace mantel models can also be made from cast stone. 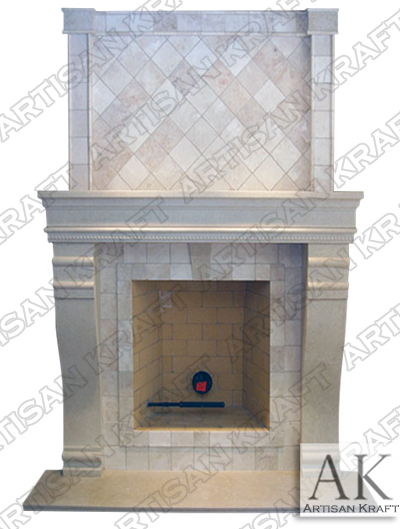 NY Cast stone fireplaces are in comparison lightweight and can be made in a range of colors and textures. Several of the models are offered in plaster. Hampshire cast stone fireplace mantel with diamond tile inlay.